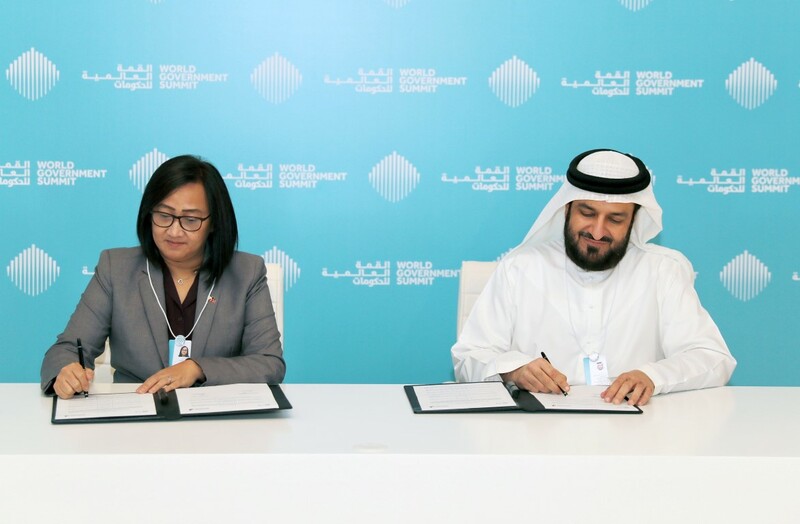 By: Hatem Hussein and Nour Salman DUBAI, 11th February, 2019 (WAM) -- The Emirates News Agency, WAM, Monday signed eight Memoranda of Understanding (MoU) with the Cyprus News Agency (CNA), the Malaysian National News Agency (Bernama), Bulgarian News Agency (BTA), Philippines News Agency (PNA), Prensa Latina, KABAR News Agency, Petra News Agency, and the Slovenian Press Agency, to facilitate the exchange of information, including news and broadcast content. The MoUs were signed by Mohamed Jalal Al Rayssi, Executive Director of WAM; George Penintaex, CNA Director-General; Nurini Kassim, General Manager of Bernama; Virginia Agtay, PNA Director-General; Mohammed Al-Omari, Secretary-General of Petra; Maxim Minchev, BTA Director-General; Kubanychbek Taabaldiev, KABAR Director; Luis Enrique Gonzalez, Prensa Latina Chairman; and Bojan Veselinovic, Slovenian News Agency General Manager, on the sidelines of the now-running World Government Summit in Dubai. As per the agreements, the signatories will work towards enhancing relations between their respective media sectors. They will exchange news, programmes, on-air competitions, and content to serve their objectives and future vision. 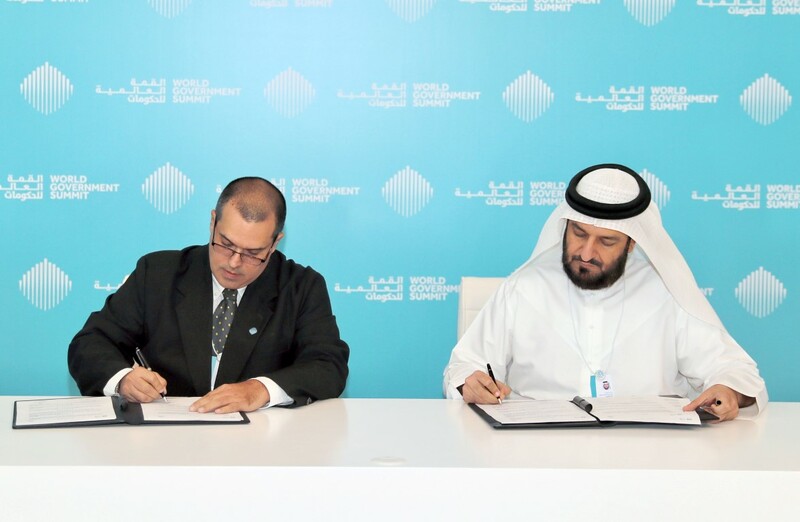 The MoUs translate the desire of WAM to strengthen cooperation and partnership ties with key players in the global media sector and ensure a wider reach for the agency’s news coverage and ultimately meet the national objectives of the UAE Centennial 2071. "The memoranda envisage media collaboration between WAM and the eight agencies as per the applied legislation in effect in their countries with regards to the daily and free exchange of news content in English, as well as in other languages that shall be agreed upon by the signatories, in addition to the exchange of footages and video clips," Al Rayssi said. He affirmed the importance of the newly formed partnerships and the prestigious status held by the eight agencies, regionally and internationally. "We are confident that the MoUs will contribute to the empowerment and further development of all parties concerned. It is a win-win partnership, as WAM will benefit from the eight agencies in ensuring wider reach for our coverage. In the same fashion, they will be able to transmit their news via our wires." "The signings reflect the importance of the World Government Summit which has proved over the past years to be an ideal platform bringing together different world cultures together under one umbrella that corroborates the UAE stature as an eminent convener of global leaders, strategists, tacticians and media professionals." He added that the MoUs will help boost awareness of the achievements of the UAE on a wider regional and global scale. "It is a further step on the path toward ensuring a wider reach of our services after we started in 2017 to launch our news content in six languages in addition to Arabic and English to address peoples of more than 100 world countries. These languages are French, Chinese, Russian, Portuguese, Spanish and Urdu," added Al Rayssi. For his part, the Director of CNA commended the current transformational change WAM is going through to keep pace with the rapid and multi-faceted developments in the modern media industry. "The MoU we signed today is going to contribute to further developing relations between WAM and CAN. It will also, I think, contribute to developing relations and understanding between the peoples of both countries," enthused Penintaex. Speaking to Emirates News Agency, Nurini Kassim, hailed the impressive changes introduced by WAM over the past period and affirmed Bernama’s readiness to bolster bilateral relations to the common good of both nations. "The MoU reflects the desire of both sides to accelerate cooperation in the way that will reflect positively on the wider strategic relations between the UAE and Malaysia," she added. Kassim went on to say, "At Bernama, we appreciate the rapid and distinctive growth of WAM as a news agency, which reflects the development of media in the UAE. To work with WAM is one of the most promising opportunities for us in the Gulf region." "It’s a significant event for the Philippines News Agency," said Virginia Agtay, especially as the agency has seen a revitalisation effort in the past two years. "I was so excited," she said, explaining that there was a good intent by WAM to reach out to foreign news agencies around the world. Commenting on the signing with Prensa Latina, Luis Enrique Gonzalez said that it was "very important" to engage in information exchange with the UAE and the region. As for Petra, Al Omari explained that the signing today represents a re-emphasis of developing ties between the UAE and Jordan, towards a better future. "Being one of the oldest news agencies in the world, the Bulgarian Agency is very happy to sign the agreement which opens up a new window for information exchange and friendship," said Maxim Minchev. "I think this is very important for both agencies, because we are already expanding our information exchange for both sides," especially between Arab nations and those in Central Asia," said Kubanychbek Taabaldiev of KABAR News Agency. 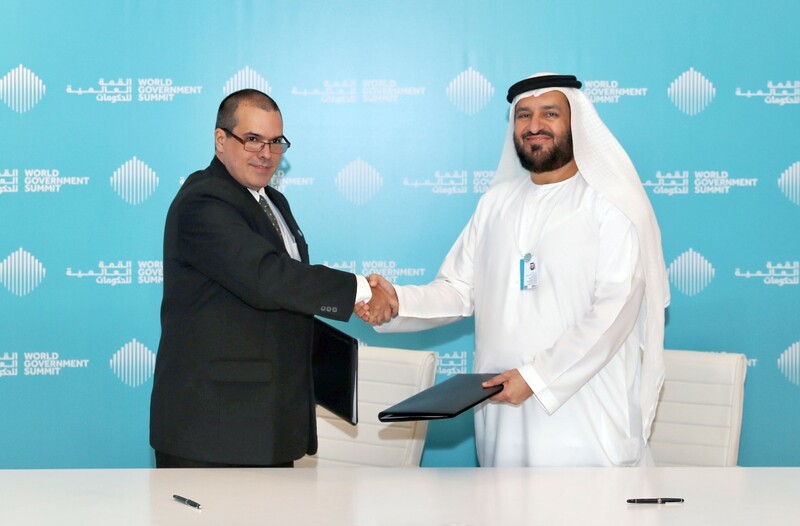 The signing of the MoU is a "great opportunity" said Bojan Veselinovic, especially contributing to collaboration during the upcoming Expo 2020 Dubai.